Otros han estado cerca, pero Novomet es la primera compañía en la historia en lograr esta meta. Esta hazaña se llevó a cabo utilizando un dispositivo de cola con cable industrial modificado y se llevó a cabo a una profundidad de 4.000 pies en menos de 20 minutos. La recuperación del equipamiento desde esa profundidad se llevó a cabo en menos de 15 minutos. 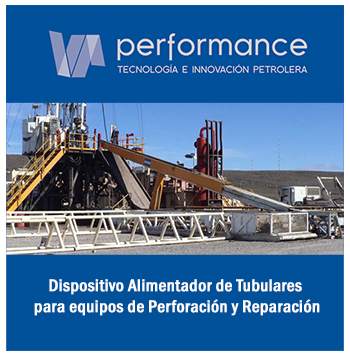 El equipo ESP invertido de 2.17 "de diámetro exterior está diseñado para ser instalado en tuberías de producción 2-7 / 8 pulgadas. Tiene un rango de operación de los 100 - 900 BFPD, y se puede ajustar a una profundidad de 12.000 pies (MD). The company has successfully deployed and retrieved the world’s smallest Electrical Submersible Pump System, the first of its kind with a complete assembly. It has proven successful in a 3 inch I.D. test well without using a conventional rig. Others have come close, but Novomet is the first company in history to accomplish this illusive goal. This feat was accomplished using a modified industrial cable spooling device and was run to a depth of 4,000 feet in less than 20 minutes. Retrieval from that depth was accomplished in less than 15 minutes. Wallace Huard, Novomet USA’s Sales Manager said “By reducing well intervention costs, this ground breaking technology completely changes the economics of thousands of marginal oil wells across the globe.” The Ultra Slim 2.17” O.D. Inverted ESP system is designed to be installed in 2-7/8 inch production tubing. It has an operating range of 100 – 900 BFPD, and can be set as deep as 12,000 feet md. Typical applications include sucker rod pump wells with a history of frequent well interventions, and offshore applications with high well intervention costs.